ONE FINAL SHOW ON SALE.. Although the first edition of GRAND was completely sold out within a week after announcing all dates, there might still be room for you to join the show as Fedde Le Grand announced to be looking for talent!!! 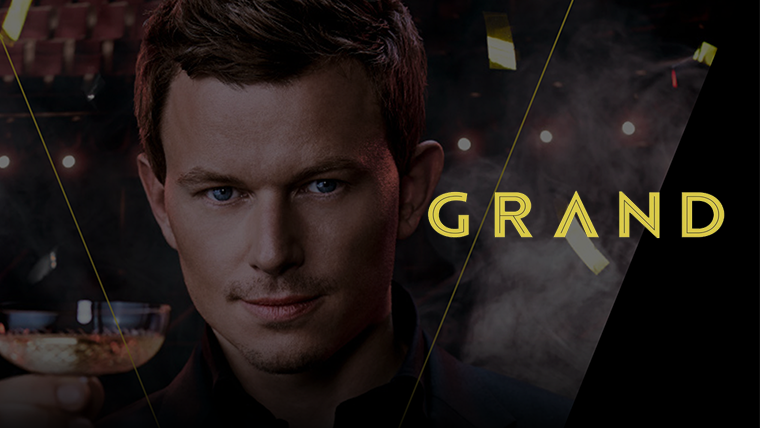 As first DJ ever Fedde will be performing in the Royal Dutch Theater Carre from February 5th 'till 9th 2015. The location however is not the only aspect making GRAND into a never seen before dance event. During these unique nights worlds will merge and boundaries will disappear when Fedde's music is combined seamlessly with the most stunning theatrical elements. Do you think you've got what it takes to be a part of this groundbreaking event?! Then Fedde Le Grand and iCasting might be looking for you!!!!! Follow this link for more info and you just might be our GRAND showstopper!!! In the deepest secret RTL Live Entertainment and me have been working on the creation of a new event called GRAND. Without spilling too much beans, this event will be like nothing you have ever seen before, combining techniques from in particular the world of theatre we’re shaping up a show that will blow your mind!!! Making this show extra special is that it will be held in the Dutch Royal Theatre Carre, making me the first ever DJ to be allowed to host a show in this legendary venue. What no one could have foreseen was that announcing two shows was absolutely silly, selling out both in less than 12 hours. Quickly rushing to announce three more show dates, we are now at a max of 5 shows completely sold out within the same week of the initial announcement.